Several factors make empirical research in software engineering particularly challenging as it requires studying not only technology but its stakeholders’ activities while drawing concepts and theories from social science. Researchers, in general, agree that selecting a research design in empirical software engineering research is challenging, because the implications of using individual research methods are not well recorded. The main objective of this article is to make researchers aware and support them in their research design, by providing a foundation of knowledge about empirical software engineering research decisions, in order to ensure that researchers make well-founded and informed decisions about their research designs. 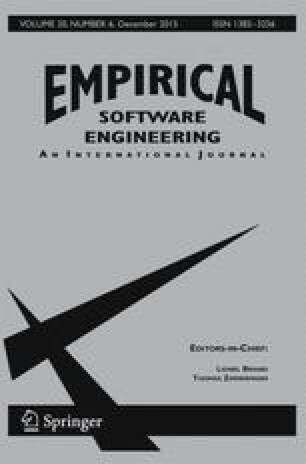 This article provides a decision-making structure containing a number of decision points, each one of them representing a specific aspect on empirical software engineering research. The article provides an introduction to each decision point and its constituents, as well as to the relationships between the different parts in the decision-making structure. The intention is the structure should act as a starting point for the research design before going into the details of the research design chosen. The article provides an in-depth discussion of decision points in relation to the research design when conducting empirical research. The Knowledge Foundation in Sweden partially funded this work under a research grant for the Blekinge Engineering Software Qualities (BESQ+) research environment.